Fahrenheit, a 31-unit condo building under construction on Georgia Avenue, has sold to Erkiletian Development, a family-run real estate development firm in the DC area. The project, developed by PERS Development, was originally planned as condos, but Erkiletian will deliver the units as rentals this summer. The final sales price for the project was $14.3 million, a source familiar with the deal confirmed. 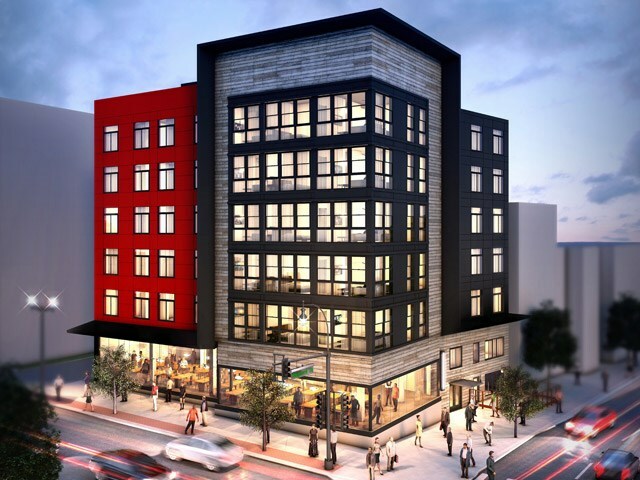 The project at 3930 Georgia Avenue NW (map) will have approximately 2,800 square feet of ground-floor retail space when it is complete. It will be located about three blocks north of the Georgia Ave-Petworth Metro Station.